This creamy and delicious cauliflower purée is packed with flavour and nutrients thanks to both the cauliflower and the shiro miso. 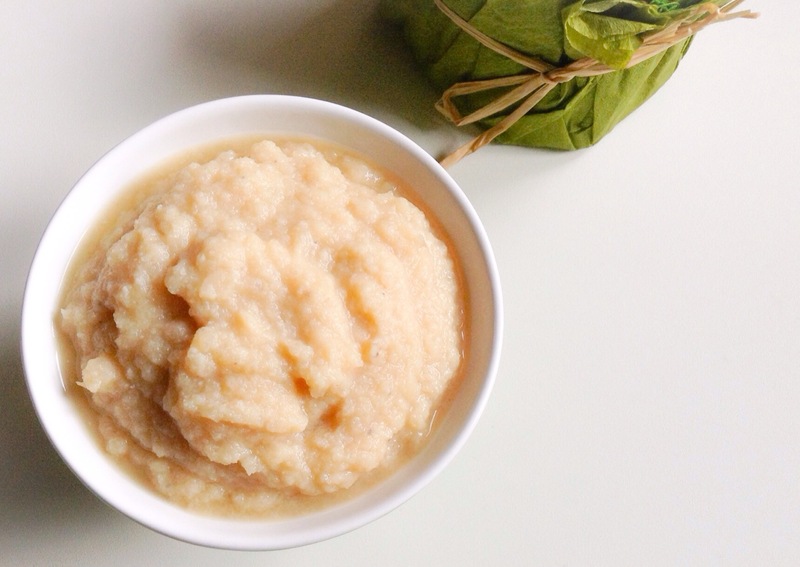 Shiro Miso is loaded with enzymes to aid in digestion, strengthen the immune system and help maintain beautiful skin. A perfect substitute to mashed potatoes! Place cauliflower florets in a pot, add water, covering the florets halfway. Bring to a boil, cover and let simmer for about 5 minutes. Reserve 1 cup of cooking water, drain the cauliflower and set-aside. Sautée onions in olive oil and 1 tablespoon of cooking water until translucent. Add garlic and sautée for 2-3 minutes. Add remainder of cooking water and purée with a hand blender until smooth and creamy without any lumps. Just before serving, add 1 heaping tablespoons of Shiro Miso (diluted in 1 tbsp of cooking water) for each cup of purée that you plan to use. If you don’t plan to eat it all the puréè right away, only add the Shiro Miso to the portion you are going to eat immediately as Shiro Miso is considered a live food and loses its healing powers once heated for longer than 2 minutes. Serve as a side dish or use to make Creamy Cauliflower Fusilli!